Cristian's mission is not limited to photographs and television documentaries. 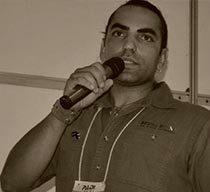 Concerned to share the knowledge he has gained over the years, Cristian talks at events, schools, businesses and trade shows. 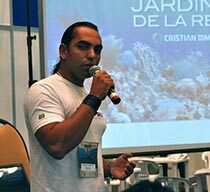 Cristian already taked in several cities in Brazil and also in major events, like the DEMA Show in Las Vegas. His lectures are not just stories of his adventures around the world in search of rare wildlife images, they are also an inspiring experience! Through a series of analogies between the natural world and the civilized world, created by Cristian, listeners are presented with a new perspective. What laws governing wildlife and our life? Are you prepared for the daily challenges? To get in balance with the environment? Adapt if necessary? And win? Cristian takes us on a trip back to the natural world in search for these answers. All illustrated with its beautiful images. It is an inspiring experience that will surely motivate you to win! It can be given in English, Portuguese and Spanish. Contact us for more information.. Anxious to share the knowledge he gained behind the camera, Cristian develops customized workshops for trade shows and events. These workshops may address an overview of various techniques of photography and video, but also focus on just one topic. Surely participants will leave better prepared to film or photograph in natural world. They can be taught in Portuguese, English and Spanish. Contact us for more information..
Cristian also customizes workshops for companies and corporate events. 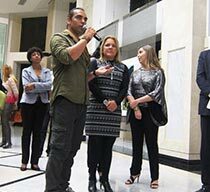 Having also studied Psychology, NLP and Business administration, Cristian is well acquainted with the modern values of the corporate world and believes that their knowledge can be passed through analogies and cases of their experiences with wildlife. 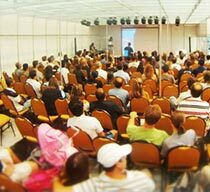 The lectures are assembled according to the need for companies aiming always focus on results. They can be taught in Portuguese, English and Spanish. Contact us for more information..